We love hard shell tacos. 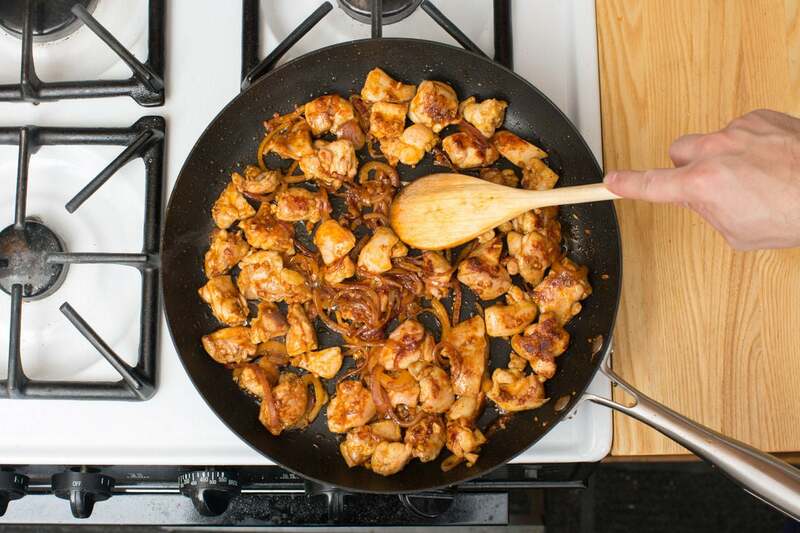 Their delicious, crispy crunch and savory bite provide the perfect backdrop for a flavorful filling of chicken, cheese and vegetables. 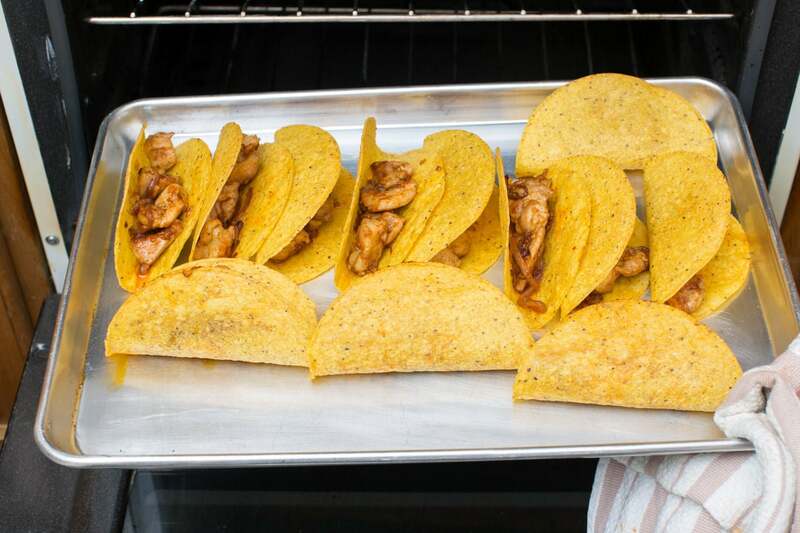 Welcome to our crunchy chicken tacos, chefs! 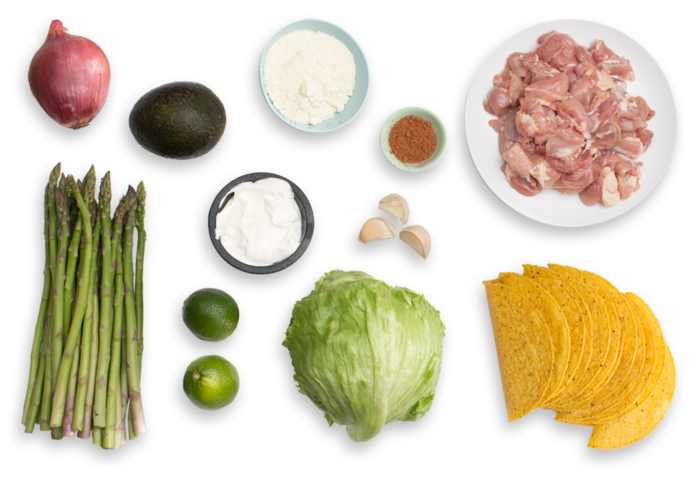 In this hearty, Mexican-inspired recipe, we’re filling hard shell tacos (simply crisp-fried corn tortillas) with succulent chicken, aromatics and authentic spices, then smothering them with an array of classic toppings, including creamy avocado and grated Cotija cheese (a piquant variety named for a town in Michoacán, a state in Western Mexico). Preheat the oven to 450°F. Wash and dry the fresh produce. Peel and mince the garlic. Peel and thinly slice the onion. 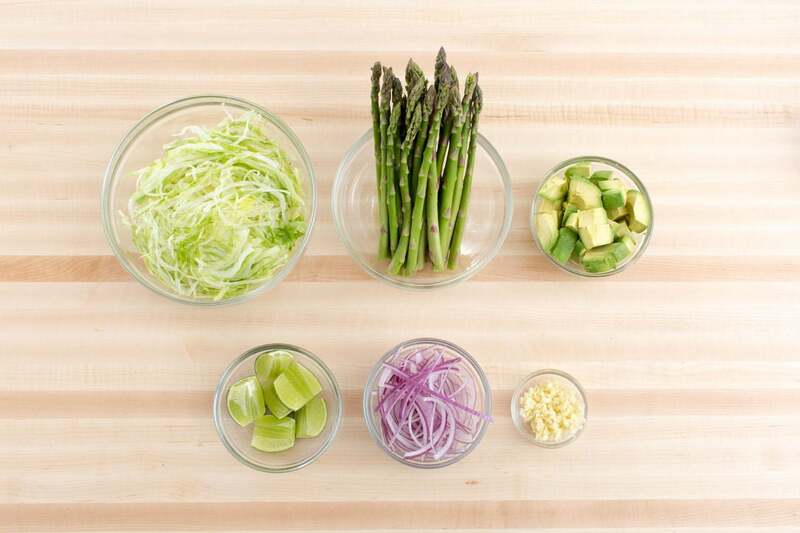 Snap off and discard the tough, woody ends of the asparagus. Quarter the limes. 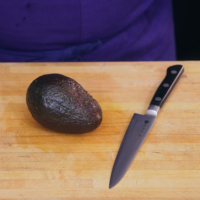 Pit, peel and medium dice the avocado; toss with the juice of 2 lime wedges to prevent browning. Cut out and discard the lettuce core; thinly slice the leaves. In a large pan (nonstick, if you have one), heat 1 tablespoon of olive oil on medium-high until hot. Add the chicken, garlic, onion and spice blend; season with salt and pepper. Cook, stirring occasionally, 7 to 9 minutes, or until the chicken is cooked through and the vegetables have softened. Remove from heat. 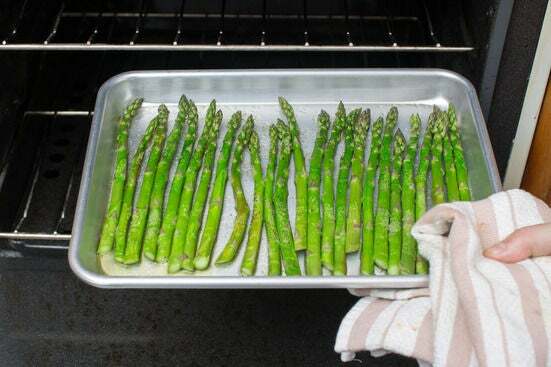 While the filling cooks, place the asparagus on a sheet pan. Drizzle with olive oil and season with salt and pepper; toss to coat. Arrange in a single, even layer and roast 5 to 7 minutes, or until tender and lightly browned. Remove from the oven and transfer to a serving dish, leaving the oven on. Carefully wipe off the sheet pan. 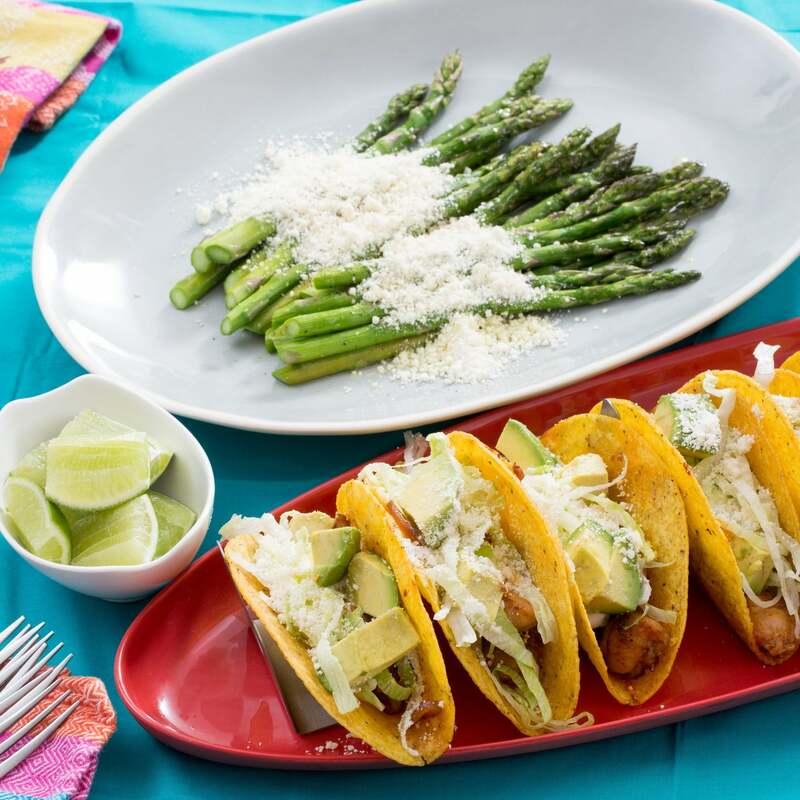 Place the taco shells on the same sheet pan used to roast the asparagus. 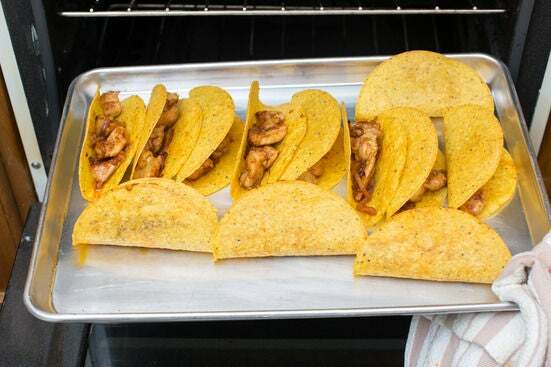 Divide the cooked filling between the taco shells. Bake 2 to 4 minutes, or until heated through. Remove from the oven and transfer to a serving dish. Top the warmed tacos with as much of the sour cream, lettuce and avocado as you’d like (you may have extra of each). Sprinkle with half the cheese. 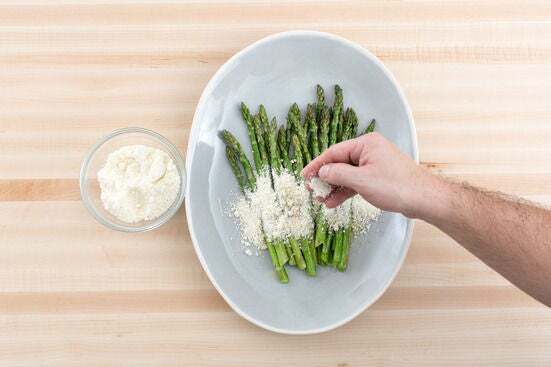 Garnish the roasted asparagus with as much of the remaining cheese as you’d like; season with salt and pepper to taste. Garnish the dressed tacos and asparagus with the remaining lime wedges. 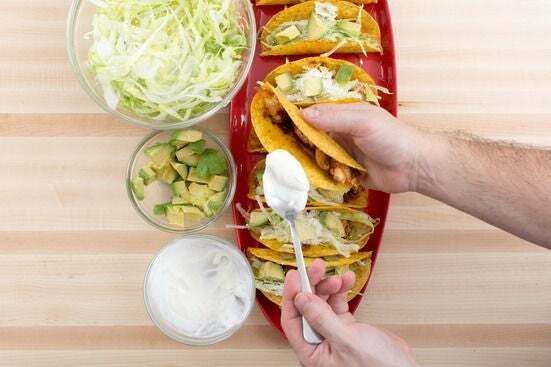 Serve the tacos with any remaining sour cream, lettuce and avocado on the side. Enjoy!